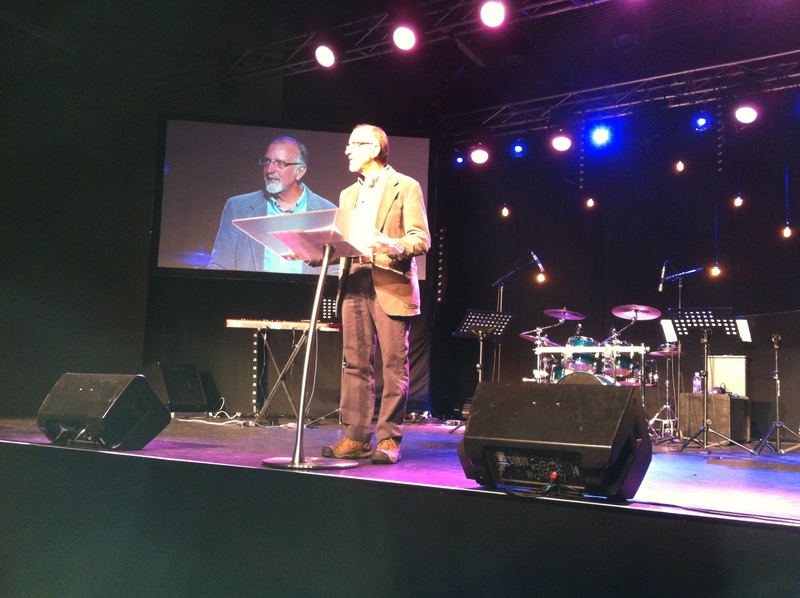 TASMANIA – I always find it difficult to translate our ministry experiences into written words. It is challenging because those experiences are many, varied and most often deeply personal. 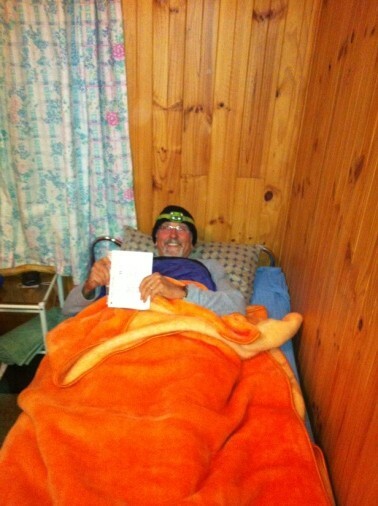 This certainly describes our recent outreach to Tasmania. Couples, families, individuals and groups were our ministry connecting points. 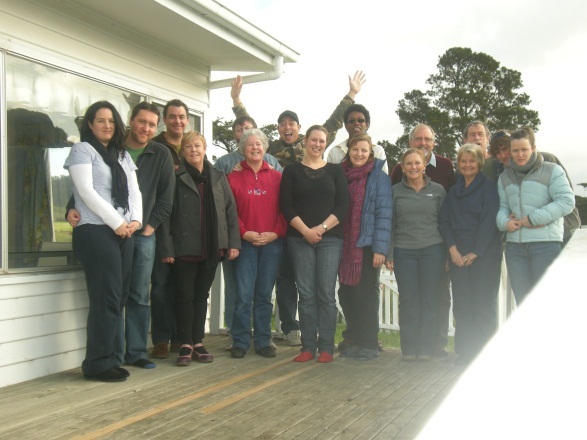 A real highlight was once again working with the Directions Tas team in providing a Men’s Retreat. In my estimation it was profound ministry. The location of the retreat was rustic and format of the retreat was quite unique as it beautifully opened sacred space for hidden hurts of men’s hearts to be healed. And indeed some were! One man, after allowing the Lord to take him to a deep place of forgiveness, wept many healing tears in my embrace. His whispered words to me were “the poison has come out”. He, as well as others left the Retreat with a greater capacity to experience the Lord, life, family and even some laughter. Kenya is an amazing country punctuated with harsh violence, beautiful yet rugged land, heartbreaking poverty and needy people that our Lord dearly loves. It is an heart-impacting place. 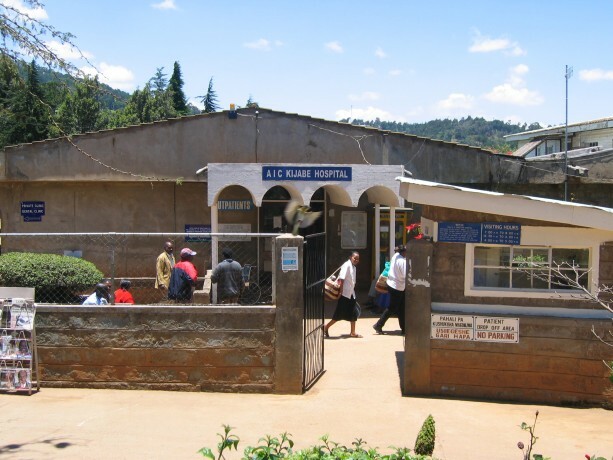 Kijabe Hospital. Our team members had the privilege of spending time in the HIV/AIDS ward, visiting folks in their homes who were at the end of their lives, going on rounds with hospital chaplains and holding sick babies. Our good friends Andy and Mardi Steere, SIM missionaries, are key individuals in the work of the hospital. Andy, a civil engineer, as funds are available is constantly improving the infrastructure of this 100 year old facility. Mardi is the Medical Director of this hospital that does 10,000 plus surgeries a year. Their patients are poor, sick and needy. We experienced firsthand the incredible burden of the prioritizing of funds and staff necessary to keep the hospital functioning. Sadly, during our stay, the oxygen producing plant failed and three infants did not survive. Please keep the Steere’s in your prayers as they wholeheartedly serve the Lord while also raising their own family. SIM Conference – SIM gathered their missionaries serving in Kenya and Tanzania for a four day Spiritual Life Conference. Our Team provided child care, fun with teenagers and worship. My role was to provide a one day Marriage Seminar, debriefing/counseling, ideas that create longevity in the Field and a seminar for single missionaries. My schedule was full! I had the privilege of working with Dr. Judy Frey, local member care director. I think in all the countries that Patty and I have worked with missions organizations, this group may have been the most open, engaged and invested. The feedback has been amazing! While I returned to the States as tired as I can ever remember, thanks partly to the African Weight Loss program (smile), my heart was full. I believe our partnership with SIM will continue and expand. Giuseppe, the OM Sicilian Cook (along with Dawn Mann. I loved his smile and his cooking! in is simply too sensitive for publication. I came prepared with a particular focus of teaching and ministry and by the Lord’s grace it seems to be exactly what was needed. 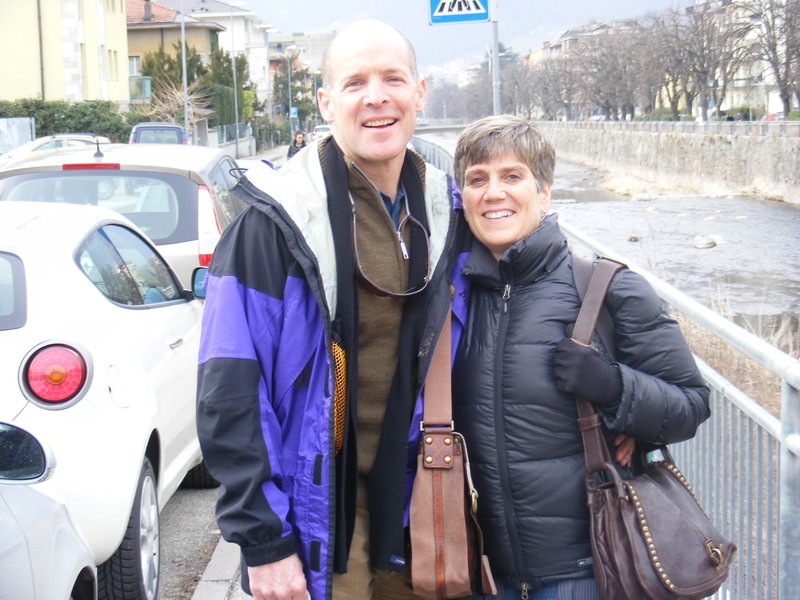 Luke and Dawn Mann, our wonderful friends, coworkers and missionaries with ACCI were once again critical to what was achieved during my time in Italy. 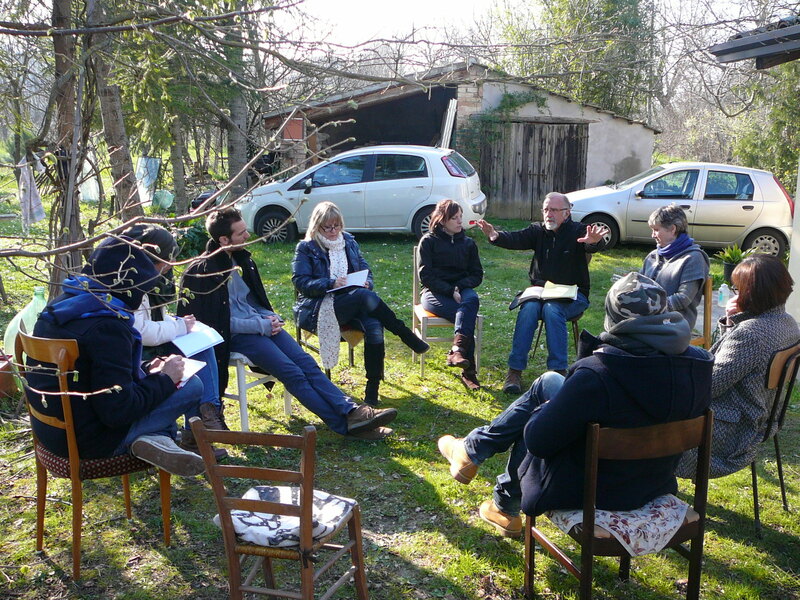 The “young” team being trained at a farmhouse. the local church frowns on caring for the poor and needy (yes, you read correctly), but unsupported and undaunted these oldies pool their resources and reach out to the Gypsies, Muslims and the poor. And lives are being changed! Their joy, energy and unity were absolutley infectious. 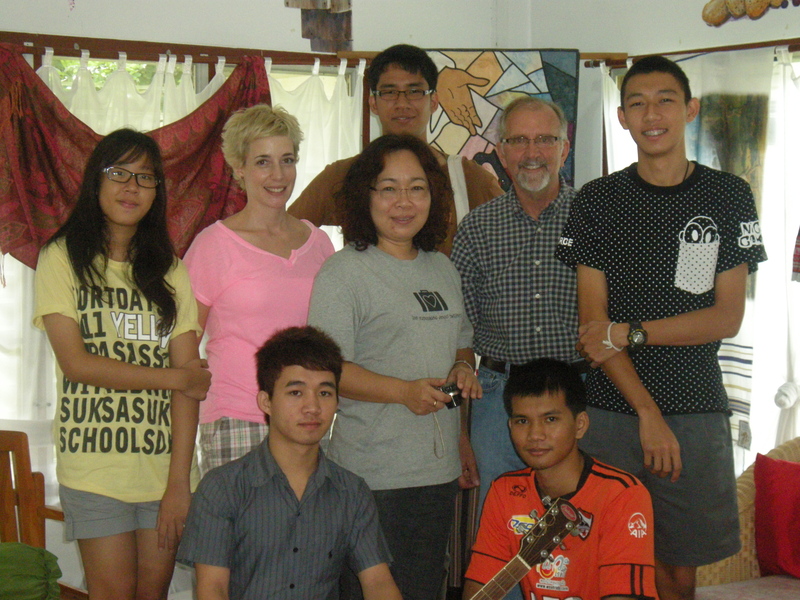 While I came to this group as teacher, encourager and trainer, I was the one encouraged! I recently returned from nearly one month of working in Italy. 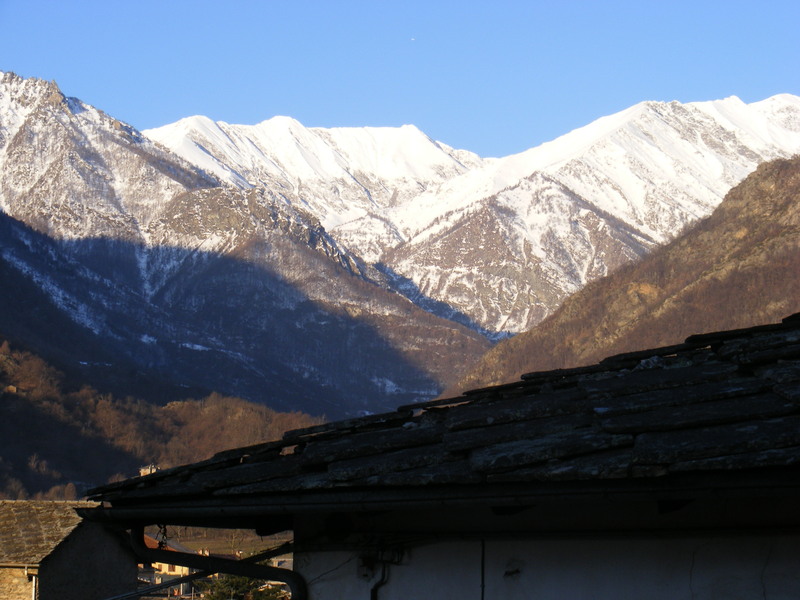 I worked in several parts of the country from Trento in the north to Naples in the south. This was my 4th ministry trip to this very unique country and the Lord certainly blessed and expanded our work there. My work included training/teaching and staff development of missionaries. There was also a good deal of pastoral care as well as quite serous individual and couples counseling. HE is faithful! I want to share with you some of the life-stories of the missionaries I worked with. 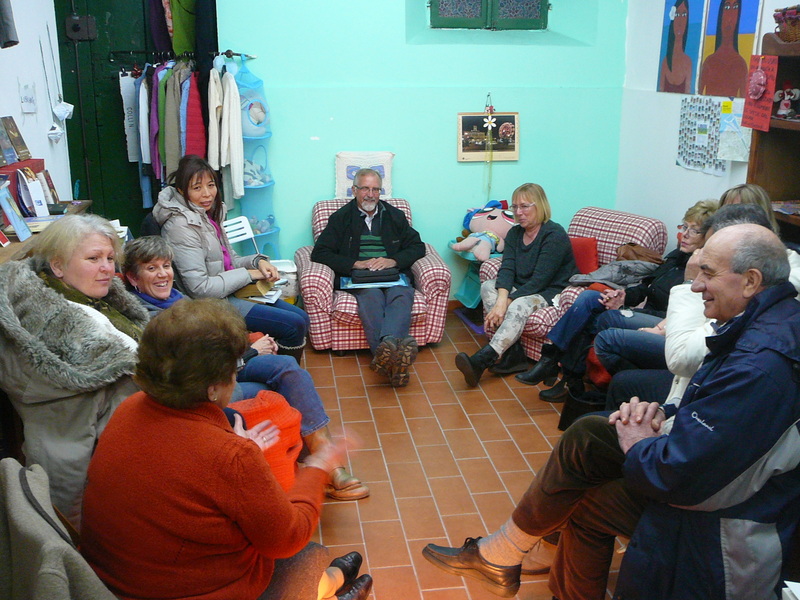 The Lord is weaving a very diverse international fabric of people reaching out with His Truth to the beautiful yet spiritually desolate people of Italy. Italy like Thailand? Really? Thailand prepared me to work in Italy. 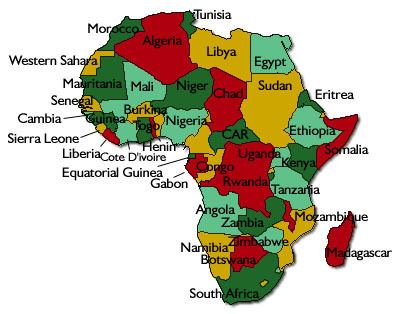 There are interesting similarities to these two countries. Both have populations around 60+ million. 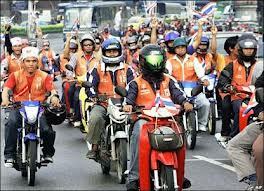 Thailand has less than one percent Christian. Italy also has less than one percent evangelical (born again) Christians. Superstition runs high in both nations. Italy actually has a higher missionary attrition (burnout) rate than Thailand! Only about one out of ten missionaries to Italy will continue past their first year. Luke and Dawn Mann Americans working with Adventive Cross Cultural Initiatives in Italy and are our wonderful friends and ministry partners. It was through their hard work that all the missionary organizations connections and travel came together. The Mann’s have amazing international experience plus hearts of passion. 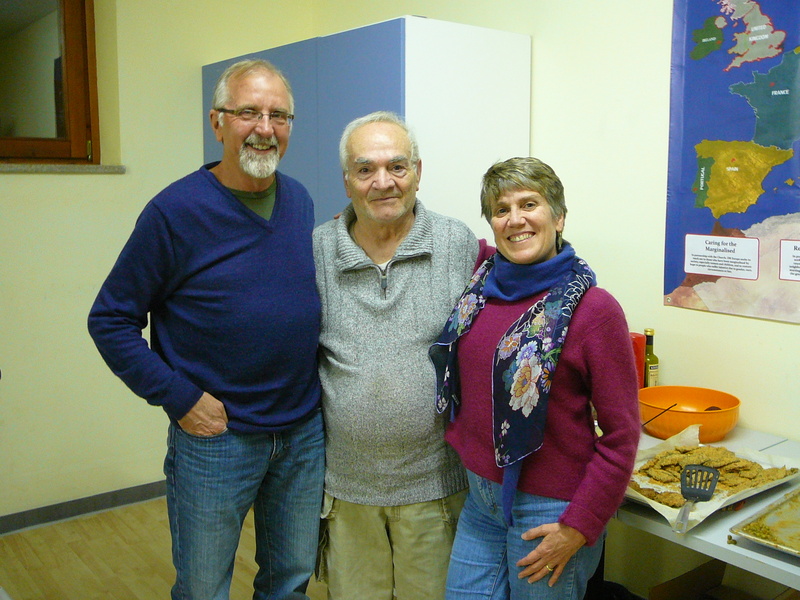 Their multifaceted ministry in Italy is truly making a difference! 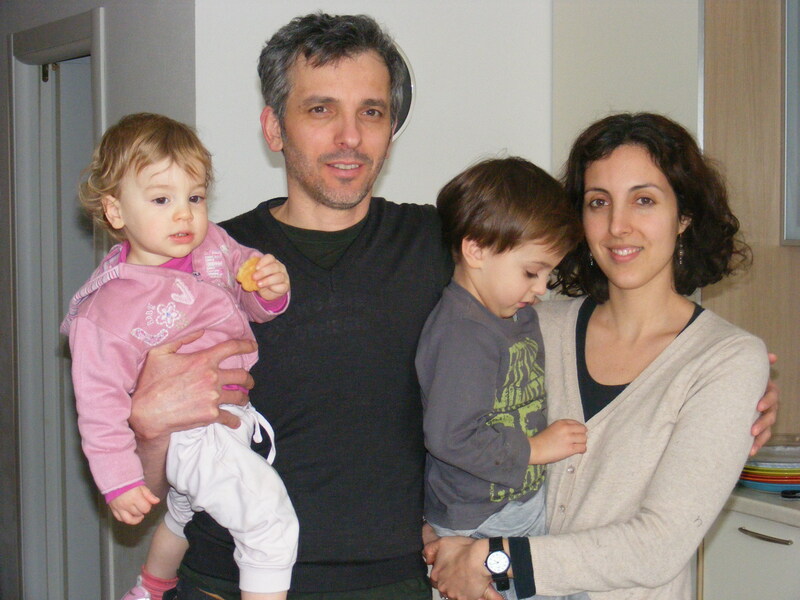 Marcieo and Noemi Ciechanovicz and family are from the country of Brazil. They have been serving in Italy for several years. They have had unusual and amazing success in reaching the Italian youth. They have weathered and persevered through many difficult challenges and the fruit of their ministry is growing. 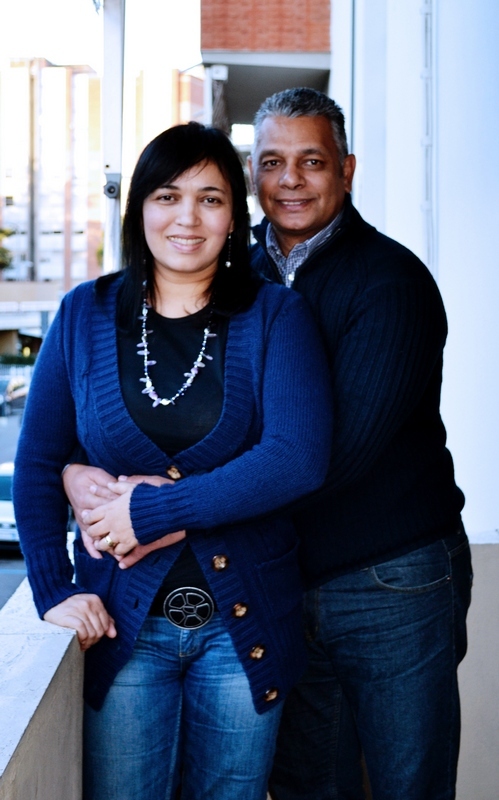 Fabian and Charlene Abrahams are South Africans also working in Italy. I had the privilege of meeting an Italian man they led to the Lord. I asked him what was different since He came to know Christ. One phrase would sum up our lengthy conversation “I lived in death – now I have life!” Fabian and Charlene grew up under the horrors of the Apartheid system of racial segregation. Of the 3 racial categories (white, black & colored) they were labeled “colored” or people of mixed races. They remember violent attacks on their villages by club wielding police. 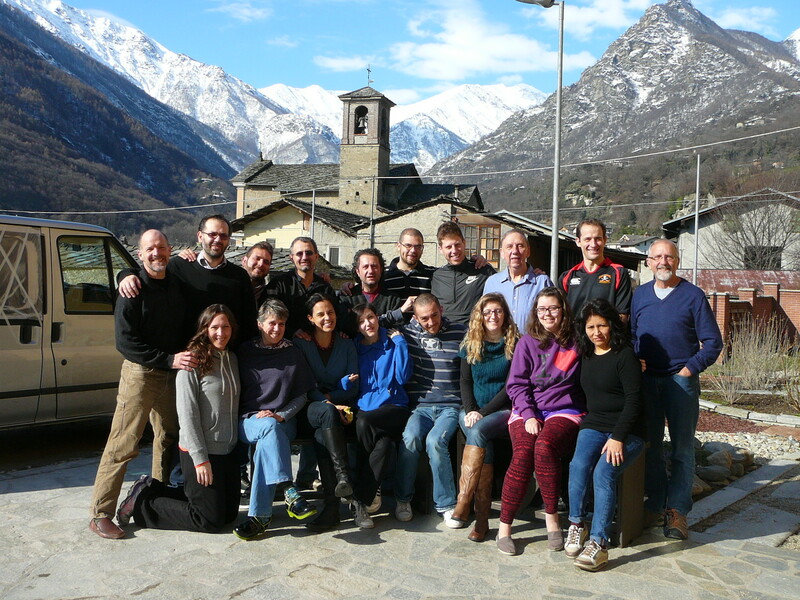 The Lord transformed their hearts from pain and bitterness to forgiveness and passion, and then planted them in Italy! Ronel and Ferdi – South Africians In this photo you see me alongside two missionaries that really touched my heart and to whom I bonded quickly. 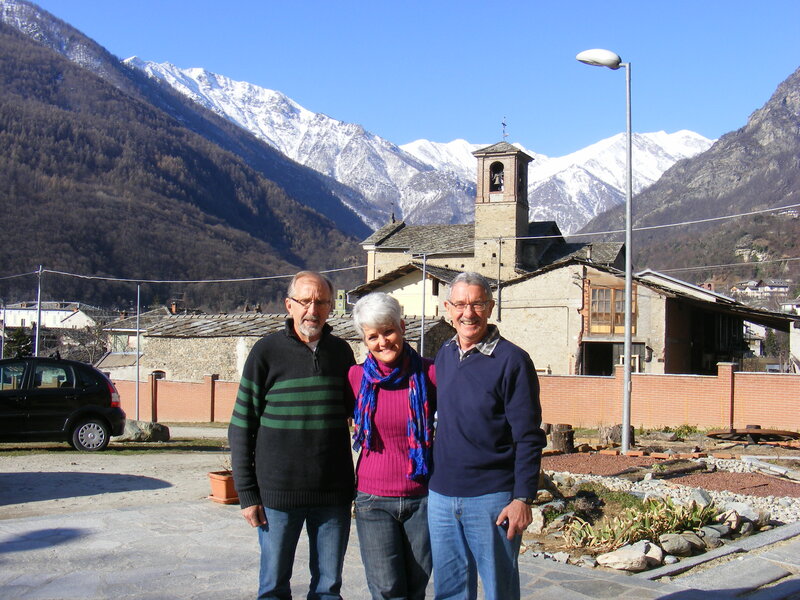 Ferdi and Ronel are missionaries to Brussels. I met them in Italy however while they were taking some “time off” to give a couple of weeks of service to Operation Mobilization. This couple carried an amazing joy, a zeal for service and pain in their eyes. This beautiful couple has been touched by very painful loss. The three of us wept together as they somehow managed to share their story with me. Their journey, a journey where this is no answer for the tragedy they experienced, has taken them to a few conclusions that fuel their sacrificial ministry today. “God is good, He is for us and sharing His love with others gives purpose and meaning to this life”. Below are just a few snapshots of the culturally diverse fabric of those He has called to serve Him in Italy. It is a good work that they do! Bathurst: Our first stop on the way to Tasmania was Bathurst, Australia. This was our third ministry visit to Bathurst. This rural, Aussie country town holds a special place in our hearts. Our dear friends Jeff and Rowena Lloyd pioneered a church there a few years ago. The Lloyds were not only coworkers with us in Thailand many years ago, they, along with their 4 boys are like family to us. The Lord has called them to a tough ministry in a spiritually dry location. They are faithful servants and we feel honored to come alongside them in their ministry. Our very full schedule with them included staff development for their leadership team, one-on-one counseling/pastoral care for a number of families, a marriage enrichment night and my personal favorite – speaking to a group of several pastors from the local community. Our work there was clearly timely and very blessed. Tasmania was once our home for 4 years. And to be honest, in many ways, it remains our home. We had the privilege of providing NOT one, but two Marriage Retreats. As Patty and I reflect over the two weekends – we do not believe they could have gone any better. We are confident that the Lord revealed Himself, touched some hearts, ministered some healing and brought some measure of freedom. He is faithful! 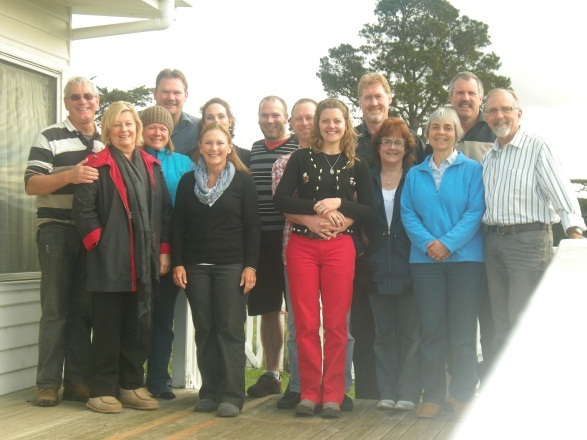 It was a joy working with our wonderful friends Phil and Anne Harback and the leadership team for Directions Tasmania. Directions TAS is a ministry aimed at the Aussie man and is doing an amazing work in “Elevating men to their rightful positions as husbands and dads”. One fun fact of the weekends – the Homestead, the rambling old farmhouse, where we held our meetings, was built in Australia’s early history by convicts. 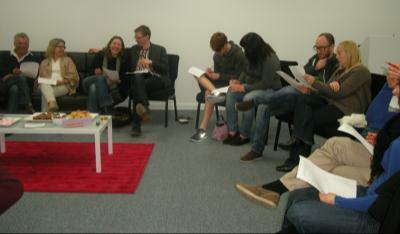 S2S Marriage Retreat Number Two was again sponsored by our good friends at Directions TAS. It was an amazing weekend of openness, genuine revelation, and I believe, some healing of relationships and hearts. As the marriage goes, so goes the family and the church and generations to come…..
An Amazing Gift– We served with YWAM in Tasmania from 1995 until the very end of 1999. Our ministry involved families, young people and more. In 1995 we took a team to work in Russia. On that team was a teenager named Louise Wolfe, now Louise Filleul. Earlier that year, Louise lost her fiancée in a tragic hiking accident. It was very special for all of us to have Louise on our team. Louise was also on a team we took to Fiji and eventually on a team to Thailand as well. Louise and her husband, Martin, who are now the parents of four amazing children, attended the Marriage Retreat. What an amazing gift from the Lord to us, for special relationships to continue and grow through time, stages of life, and even global locations. There are other similar stories, clearly marked by the finger prints of God, we could tell if space would allow. HE is faithful! It’s Working! We believe the plan for S2S to be most effective was NOT to go to new place after new place, but rather to go to a few places over and over again. We believe the Lord was showing us if we did that, trust would be established and grow, hearts would open, and our ministry would be more effective. Without a doubt that is what we have experienced so far. I know I say it often but it is so true—-HE IS FAITHFUL!